An abstract expressionist, he made his mark with large black-and-white paintings featuring architectonic forms constructed from broad, slashing lines. Swaths of black paint, sometimes applied with a housepainter’s brush, are held in tension with intervening white areas, also vigorously brushed, so that his compositions avoid figure-ground relationships in favor of a flat surface. Decentralized compositions suggest space continuing beyond the edge of the canvas, creating with very different means the effect of boundlessness seen also in Jackson Pollock‘s all-over paintings. 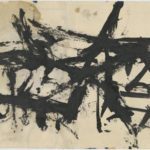 The bleakness and raw power of Kline’s paintings suggest the eastern Pennsylvania industrial landscape that framed his early life. A number of titles alluding to the region confirm the emotional and visual power it held for him. 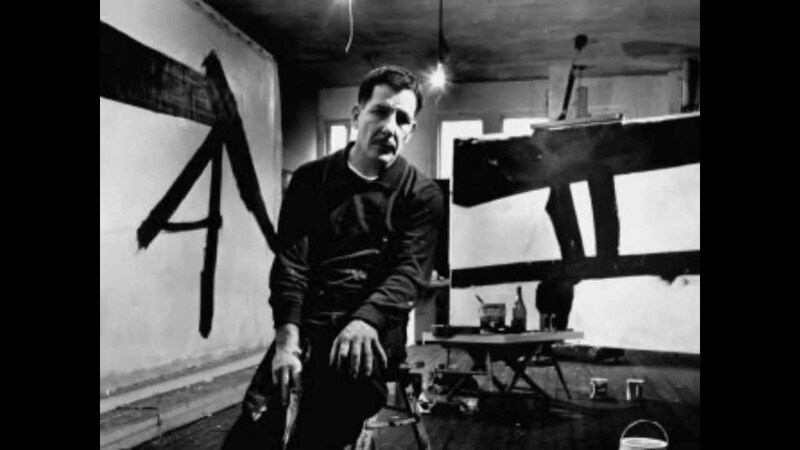 Born in Wilkes-Barre, Franz Rowe Kline was educated after his father’s death in 1917 at Philadelphia’s Girard College, a residential free school for orphan boys. From 1925 he lived with his remarried mother in Lehighton until 1931, when he began four years of study at Boston University, followed in 1937–38 by additional training in London. Upon his return he settled permanently in New York. Through most of the 1940s he painted representational works, mostly figure studies and landscapes, which generally feature simplified massing of forms and distinct value contrasts. 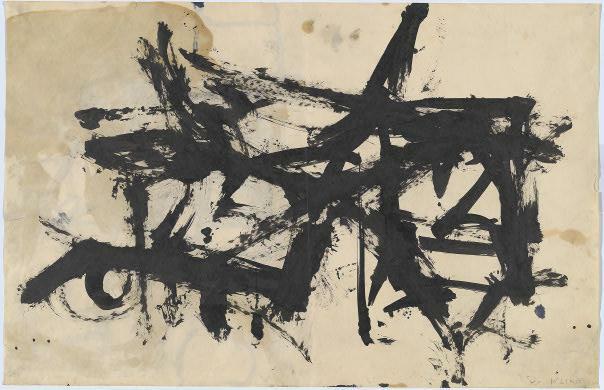 Stimulated by the early development of abstract expressionism and particularly by his friendship with Willem de Kooning, in the late 1940s Kline pushed his images toward abstraction. While viewing slides of his own sketches, he suddenly grasped the abstract potential of greatly magnified line. Introduced to the public in 1950 at his first New York gallery show, his signature style won Kline a distinctive place among the best known action painters.